Happy Birthday Friday The 13th! 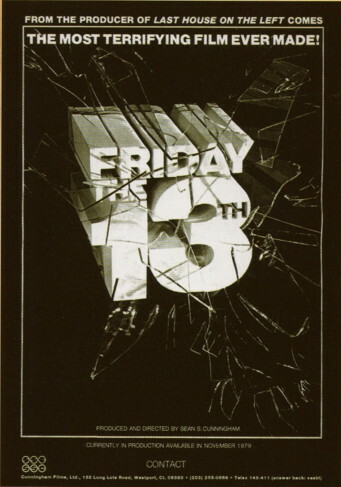 I know we’re a day late (May 10th) but on May 9th, 1980 the first Friday the 13th film was released theatrically. Many people write off this franchise as B-movie camp and cheese, and that’s actually a fairly accurate take; but also one that’s grossly misunderstanding. You have to put yourself in the time of the movie’s release. There were no Slasher movies, there was Halloween and a few other small indie releases but nothing major, and a common complaint of the time was that the movies were simply not fun. Terrifying? Sure. That lack of humor and fun somewhat held back the genre from greatness. Even now when you look at the movement of Comedic-Parody Slasher films (Cabin In The Woods, Wes Craven’s New Nightmare, Scream, Tucker And Dale Vs Evil, etc) a lot of these movies owe a huge debt of gratitude to Friday The 13th. When the franchise started, it’s hilarious how very few bits of iconography make their way in. First off, there’s no Jason as the killer, it’s Pamela Voorhees (his mother). There’s no hockey mask either. The movie did something right though as it focused on making horror movies akin to a rollercoaster ride. Full of dizzying highs and lows, it was about the experience and it utilized horror as a part of that experience but it was never 100% pure horror and terror; which is hilarious considering the ads claims otherwise. While critically panned, the original film was a huge success making nearly $60 Million on a $550,000 budget. Which wasn’t rare of per se, but it was a level of success that was somewhat unheard of back then. 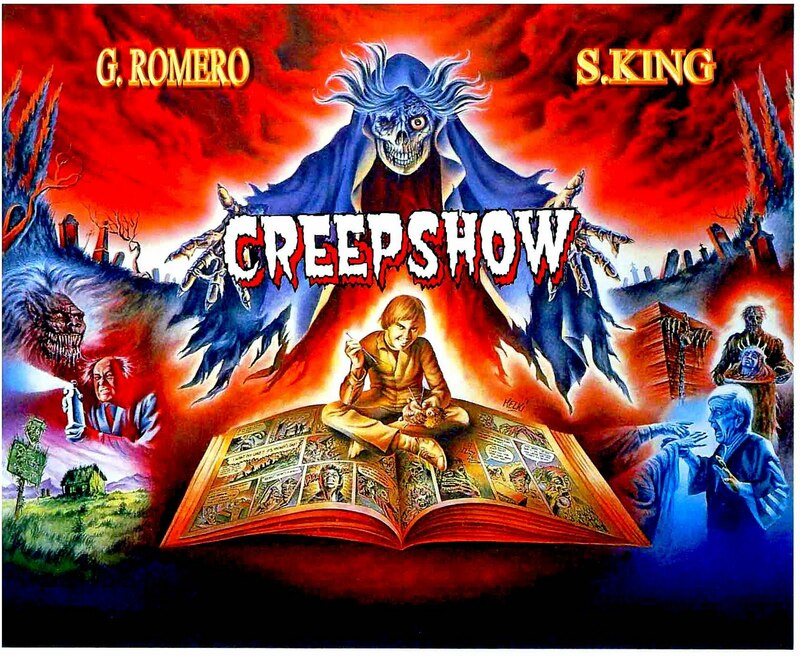 Originally the plan was to make Friday The 13th into a horror anthology series much akin to Creepshow or Tales From The Crypt. Could you imagine a Friday the 13th franchise without the Vorehees, camp councillers, etc? Crazy! Could you imagine a Friday The 13th film that was an anthology? Funny enough, it was Tom Savini, who is known for his special effects and makeup work, who wanted to add a tease for Jason at the end of the film. Pamela is dead and Alice assumes she’s safe, only for Jason to pop out from the lake and drag her under. Such a great ending and the beginning of the trend in the franchise of that one final jump scare. The idea is partially acredited to Carrie and the ending there, which paired side by side you can see the similarities. Personally, Friday the 13th is one of my favourite franchises out there. I watched the original when I rented Aladdin at the age 0f 8 from a Blockbuster and instead of the Disney classic, someone put a Friday the 13th VHS in there. So I was left to my own devices to watch what everyone assumed was the Disney classic but instead I witnessed Pamela Vorehees tear apart a group of councillors, and I was hooked! It was exciting, daring, and different. I was talking to my school buddies wondering how they did all those kills. This franchise more so than any other horror franchise, invites discussion and keeps people engaged; but it’s strongest trait has always been: consistency. Even when Freddy got jovial, Michael Myers became cultish, and other horror icons sort of weaned in popularity, Jason remained consistent. He was quiet, merciless, unstoppable and oh so cool. Are there better horror movies out there? Certainly. It’s not as purely terrifying as Texas Chainsaw Massacre nor is it as inventive as Nightmare On Elm Street but unlike those other movies, Jason never got bad, some movies are obviously not as good as others, but I’d argue even the franchise’s worst (which the only answer is Jason Goes To Hell: The Final Friday) is miles ahead of the worst Nightmare on Elm Street film, or the worst Texas Chainsaw Massacre film. Also, many of these franchises owe that debt of gratitude to Friday the 13th. The directors of Scream credit Friday The 13th Part 6: Jason Lives for inspiring that Comedic-Parody Slasher style that they later incorporated. Even if you watch the 1st film with Pamela as the killer, the 5th which features Roy the Paramedic as the killer (sorry for spoiling a 30+ year old movie), and Jason Goes To Hell which has a ton of people as Jason, there’s still this prevailing theme that these characters were all victims of a greater tragedy. Pamela lost a son, Jason lost mother, Roy lost his annoying son; this franchise is one that lives on to this day because it sticks to these simple themes and rarely i ever tries to be more but it’s this steadiness that keeps things interesting for fans. As many fans of the franchise, myself included will say: “Give us a camp, Jason, Councillers, and gruesome kills” which at this point are staples of that roller coaster ride we all experience.